Blog Why Aren't There More Reverse-Snowbirds? Why Aren’t There More Reverse-Snowbirds? I have heard about the throngs of New Yorkers, Michiganders, and Canadians who flee their brutally harsh winters for warmer climates my entire life. I have even met quite a few of them. For some reason, I never hear about Southerners fleeing our steamy summers for better climates. Technology has enabled many of us to avoid part of the three-month suffer fest. Don’t misunderstand me: I love the South and Texas. My Great, Great, Great Grandfather was born in Columbus, Texas in 1869. I have been all over the world and have concluded that with the people, the cost of living, and the economic opportunities; Texas is one of the best places to live in the world right now. As I am writing this blog from the Happiest Place in America, I am appreciating the blue bird sky and the lack of mosquitos. It won’t be long until July through September turn this paradise into a month or more of 100 degree days with evening temperatures that get down to 75 degrees–if we are lucky! The older I get, the more difficult it is to bear the dog days of summer and for the last few years, I have become a reverse snowbird and it has greatly improved the quality of my life. I have all the advantages of living in Texas, but I miss a good stretch of unbearable heat. With the incredible technology we have today, many of you can also partake in the reverse snowbird movement too. Many of my clients are retired and have earned the right to do what they want when they want. I also have quite a few clients who work from home or who can work remotely for periods of time. Since we live in the best era in the history of the world; it is time to break the mold and live a more satisfying life. If your company doesn’t give you much vacation time, consider asking to take unpaid leave. 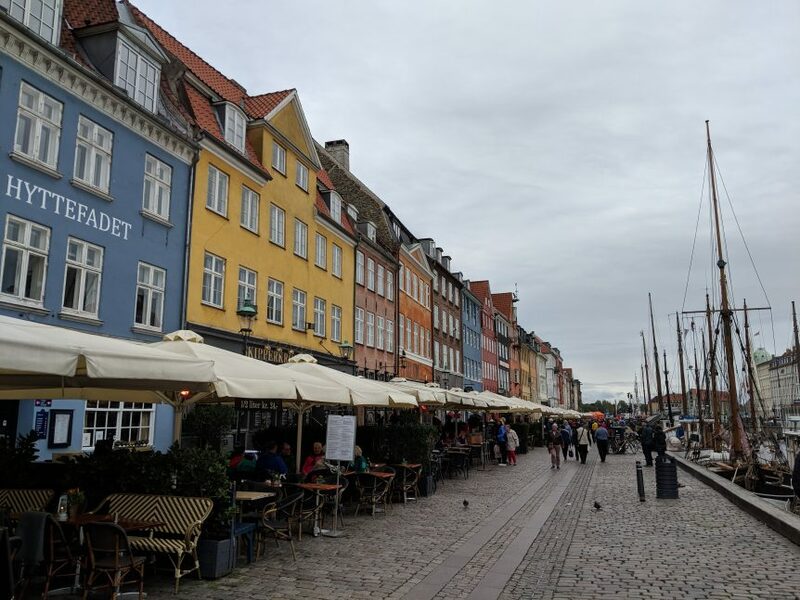 If you still need more time off, or that option is infeasible, I still find it is worthwhile to go on an extended trip just to learn about other cultures and live in cooler climates (even if you are working during the day). I once went to Nicaragua with my brother when he didn’t have enough vacation days. He was negotiating complicated bankruptcies on conference calls and fine-tuning excel spreadsheets while sitting on our hotel’s balcony overlooking the Pacific Ocean. He worked hard in the morning and then we would go out to lunch together. If you stop work at five, that still gives you seven hours to enjoy being on vacation each evening. You also have all weekend to be somewhere awesome with great weather instead of huddled around your AC vent at home. Pro-tip: Nicaragua is not a reverse snowbird destination, as most of the country is extremely hot all year round. If you have kids, consider this idea. Rent a house somewhere terrific for a month and have the husband and wife alternate taking time off work during the month to explore our incredible world with the kids. Everybody gets to see each other in the evenings and when you close your laptop on Friday, you are already on your vacation. How special will those summer experiences be for your children? Housing— My wife and I really enjoy using Airbnb. We have found that you can often rent an entire apartment for less than the cost of a hotel in the tourist areas of a city. Renting a house is also a good way to save money if you are traveling with more than two people. I just booked a two-bedroom apartment that has a view overlooking the Plaza Mayor in Madrid for only $140 per night. Per-person, it would be hard to beat that price in a hotel. If you are on a budget and want to meet people, consider using the app, Hostelworld. Hostels aren’t only for youths, and hanging out in the common areas or attached bar can produce fascinating conversations with people you would never meet in your daily life. I haven’t tried www.trustedhousesitters.com or www.mindmyhouse.com, but I really like the concept. You could stay in a mansion for free located in a resort town in exchange for taking care of a family’s beloved Pomeranian. Planning–I have three primary tools I use to research what to do for my next trip. I love to read articles and reviews on Lonely Planet and TripAdvisor. I also solicit advice from YouTube travel videos that advise me what to do in the area I am headed to. Pro tip: search Rick Steves + any European destination on YouTube, and he will give you an excellent overview of the area you are about to visit. 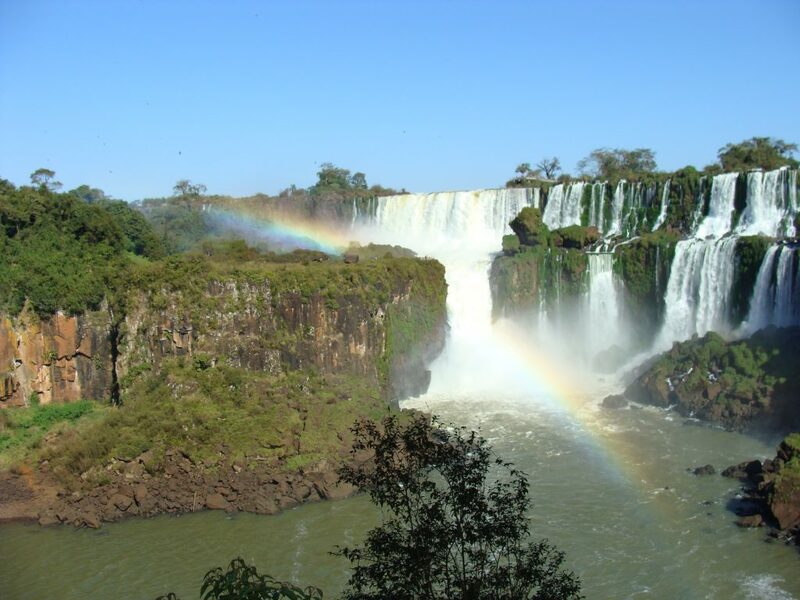 The famous Waterfalls of Iguazu in Northeastern Argentina. Communication–Staying in touch with your office and business is essential while away. Fortunately WiFi and acceptable internet are abundant almost everywhere. If you like to travel overseas, I would consider switching your cell phone plan to either T-Mobile or Google Fi. In my opinion, the cell service doesn’t match the quality of Verizon when you are in the U.S. Both companies charge approximately 20 cents per minute for calls, and you can use data in most countries without adding an expensive International plan. My wife and I use Google Fi, and we pay $35 per month for unlimited U.S. calls and texts (International, too) and $10 per GB of data that we use in almost 200 countries. It has simplified my life to know that I can get on a plane and my phone will work just fine almost anywhere in the world for a reasonable price. My phone can also call using my regular phone number over WiFi for no extra charge. When I am out and about, I try to call everyone through WhatsApp. According to this article, an hour of talking on WhatsApp uses about .012GBs of data. WhatsApp only costs me 12 cents per hour with my cell phone plan compared to $12 per hour using my regular phone number. Have I mentioned how grateful I am to be alive during such prosperous times? Lastly, I recommend everyone have the amazing Google Translate App. While you are using WiFi, download the language of the country you are going to so that you can look up words without burning data. I also really like the ‘near me now’ feature on the TripAdvisor app to find restaurants and things to do. Pro tip: if you are going to Europe, make sure to download the Booking.com app to get a much larger selection of hotel rooms than U.S. based sites. Unfortunately, just because you are driving north, doesn’t mean you are going to avoid hot daytime temperatures. Many places you assume would be cool in the summer, might not be when you get there. It still may be worth it because it might be drier or your night-time temperatures may drop to 60 degrees instead of staying in 80’s. I have driven through the Denver area and Wyoming while when they had highs in the 100’s. The two places that I am aware of that almost never get really hot in the United States are the Mountain towns West of Denver (take 70 West) and most of the Oregon Coast. I highly recommend traveling through Montana and Alberta Canada. 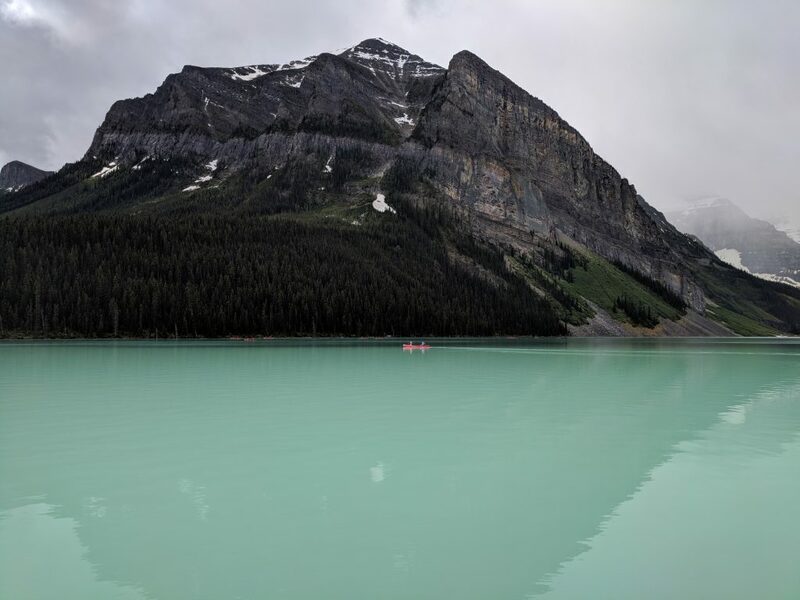 Just West of Calgary is the incredible Banff National Park. 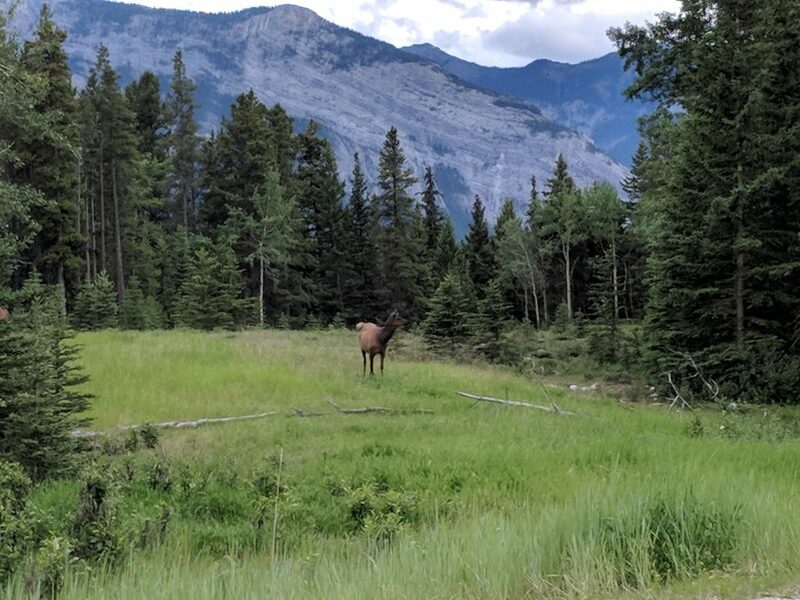 Banff National Park is my favorite park in North America. We saw highs in the 60’s and lows in the 30’s and 40’s our entire trip to Montana and Alberta, Canada. We saw hundreds of baby Canadian Geese chicks and even a Grizzly with her two cubs. I also cannot say enough good things about visiting Oregon and Lost Coast of Northern California. Many people don’t realize it, but Crescent City, CA is about a 6.5-hour drive from San Francisco, and it is very different than the overcrowded areas near LA and San Francisco. Here you can find herds of elk, amazing coastal views, and countless redwood trees. Because it is so far from a major airport, you will find it cheaper and less crowded than other great California destinations making it the perfect base-camp for a reverse snowbird. If you want to go abroad, you have two great options: either go north or south. Most of the northern European countries have terrific summers. I have enjoyed pleasant summer temperatures in Iceland, Germany, Denmark, and Sweden. 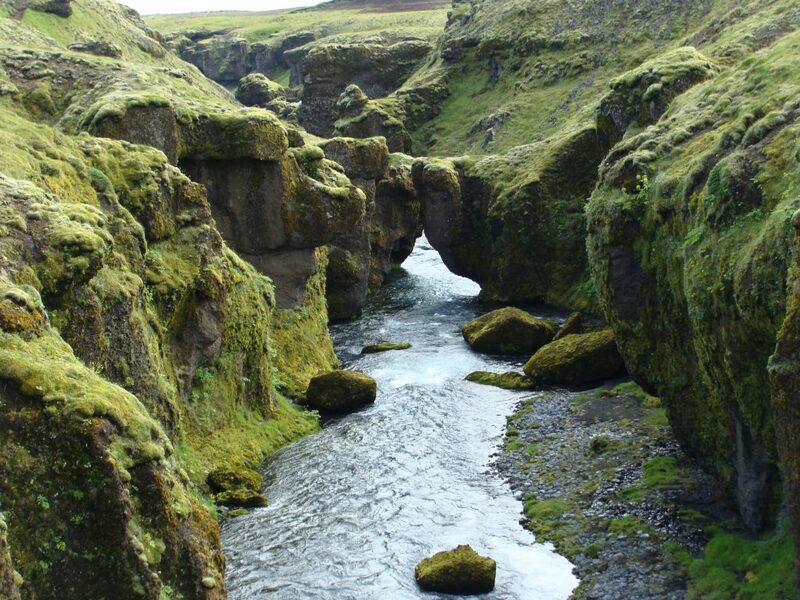 If you love the outdoors as much as I do, you will fall in love with Iceland. While Iceland holds the distinction as being one of the most expensive and safest countries in the world, you can travel there on a budget. It also helps that there are many cheap flights there. We did very little planning and roughly followed the itinerary of this blog and this one when we got there. The only things that I would add to their itineraries is that we had a great three-hour fishing trip from Reykjavik for cod and spent an amazing half-day fishing for trout in Blönduós in the north. Glacier Lagoon, Iceland is one of the best things I have seen in my life. 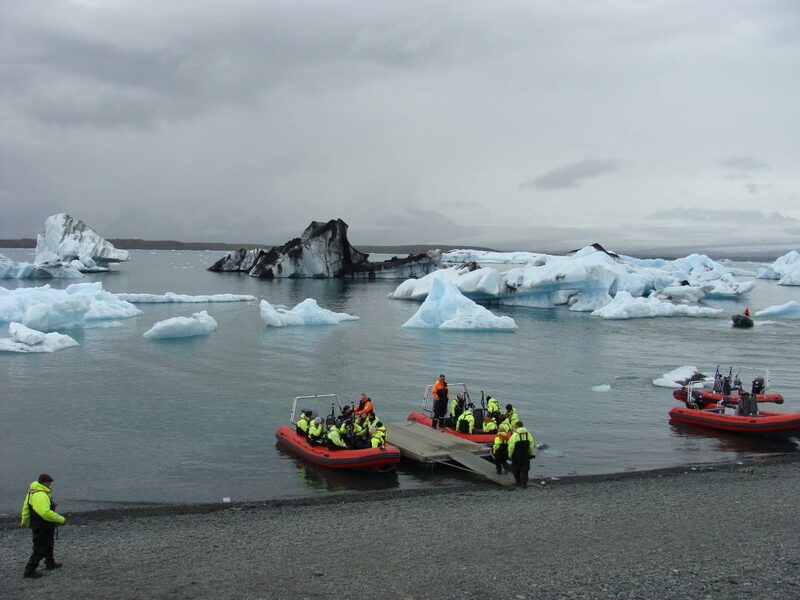 My favorite activities were watching seals swim around glacial icebergs in Glacier Lagoon and visiting the Skógafoss waterfall. By accident, we opened the gate and had an amazing four-hour hike above the waterfall. Make time for this hike, it was magnificent. Iceland has tons of cheap camp grounds and is not expensive if you buy your food from grocery stores or bring a lot from the U.S., like I did. Pro tip: Buy alcohol at the Keflavik Airport Duty Free store when you land. If you don’t plan ahead, expect to pay $12 USD for a beer and about $40 for a normal dinner. I recommend staying no more than 3 days in Reykjavik and spending most of the trip living out of a rental car on the ring road and enjoying the beautiful scenery. Americans be warned: there are traffic cameras that record your speed throughout the island, and their speeding tickets are very expensive. Unfortunately, far too many people don’t walk the river above Skógafoss. This is one of the many vistas they miss! Another advantage Europe offers to reverse snowbirds is that most of Europe is six to seven hours ahead of Central Standard Time. That means that you can wake up around 7 AM and uninterruptedly explore till 3 PM before your customers or boss expects you to be at your computer working! You can also travel south to beat the heat. South America has some of the best vacation destinations and it is ashamed that most American’s haven’t made it past Mexico. The sites, the nature, and the cultures will enhance your life and change who you are in a small way. When I was there in July of 2017, I found their winter to be surprisingly moderate. I walked around with jeans and a t-shirt most days and only occasionally needed a sweater or light jacket. 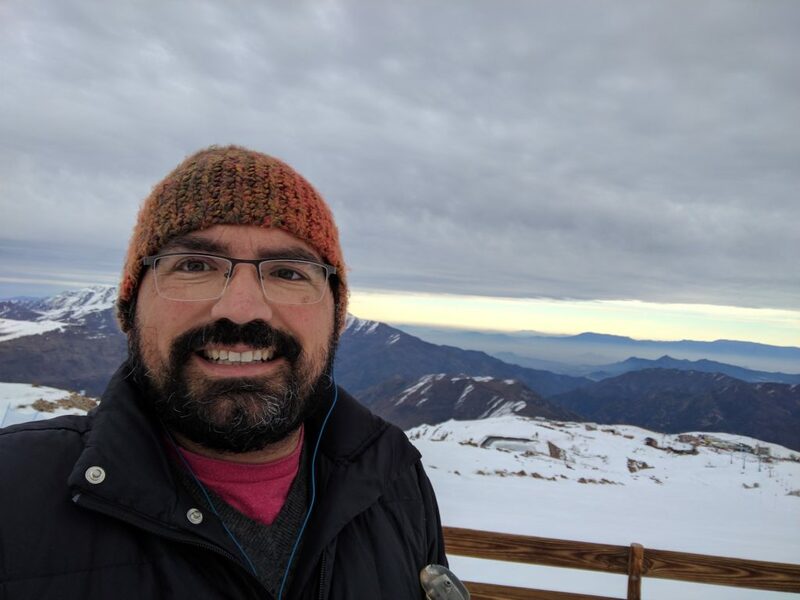 Skiing the Andes in July while almost everyone you know is sweating. Once you have your ticket, you can stay a long time in most of South America on a budget. My favorite South American city is Buenos Aires, as it reminds me of Paris. You can rent a nice apartment for around $40 per night. Delicious steak dinners with wine can be had for about $20 per person. If you love wine, you could spend a few weeks near Mendoza, Argentina or in some of the Chilean wine regions (Carmenere grapes make excellent wine). I am going to spend the month of July in Bolivia this summer where the average daily temperatures in July for Sucre and Lap Paz are 41 to 68 and 30 to 62 respectively. I will be staying with families I met on the internet that are part of immersion schools for about $16 per night. My one-on-one private tutors will charge me only $10 per-hour and I will be eating five star meals for $12. With the advancements in cell phones and technology, many people no longer have to endure a three-month sweat fest. Take the time to plan, live the life of your dreams, and foray into the amazing world of reverse snowbirds.